Cole Swindell shared the story of the loss of his father with "You Should Be Here," the No. 1, platinum-selling title track of his sophomore album. 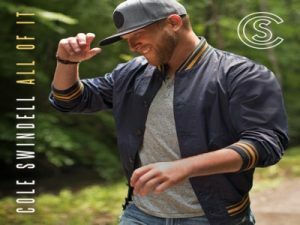 But there's a song on his upcoming All of It album, "Dad's Old Number," which Swindell didn't write, but is every bit as personal to him. "'Dad's Old Number' Chase McGill and Jesse Alexander wrote this on my bus," Swindell shares with PopCulture.com and other media. "They were out writing with me that weekend, and the night before, Chase McGill had told me this title, 'Dad's Old Number.' I automatically go to football and he's like, 'No, having the number that you can't call anymore.' Then I was just immediately, just floored. I was like, 'I love that.'" Download Dad’s Old Number ringtone for mobile at here!